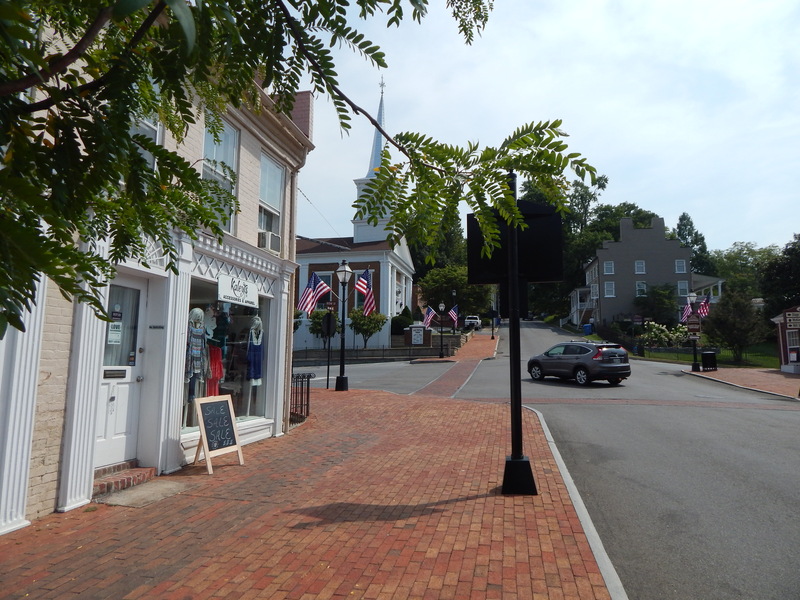 Abingdon, Virginia is such a beautiful town. I love the quaintness of it and the friendly people. Miss Violet and I spent a couple of days sightseeing and had a delicious meal at The Peppermill. 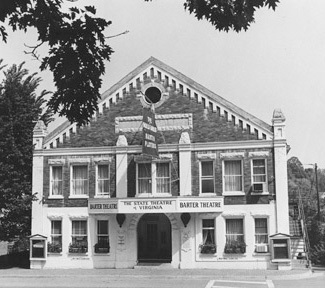 We saw the famous playhouse in Abingdon, called the Barter Theater. It was called that because people would barter for play tickets. One of their slogans was, “with vegetables you can’t sell, you can buy a laugh.” During the depression 4 out of 5 theater goers had bartered for their ticket. 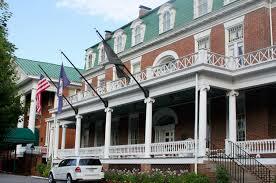 We went to the most gorgeous inn called The Martha Washington Inn. It was originally built as a private residence by General Preston following his successes in the war of 1812. It was later turned into an exclusive prep school for girls. 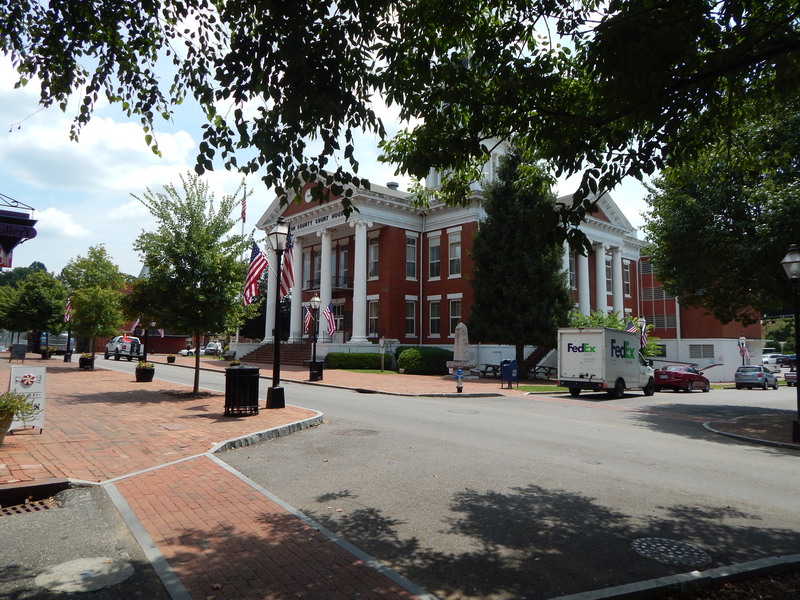 Woodrow Wilson’s wife, attended here. 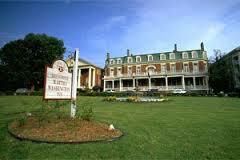 In 1935 it became The Martha Washington Inn and has hosted many esteemed guests. Among the long list of guests are Eleanor Roosevelt, Ladybird Johnson, Jimmy Carter, Harry Truman, and Elizabeth Taylor. Miss Violet has three children, two boys and a girl. The daughter, Marilyn is the one who owns the farm and was married to Rick. Unfortunately he passed on this weekend. Marilyn has two daughters, Amy and Corrie. Amy and her husband have two kids and live on a hill above my apartment. I can’t see the house but I find comfort in knowing they are there. It gets really dark out there. Corrie lives in the farmhouse with Marilyn. She moved home about 5 months ago to help her mom while her dad was sick. Marilyn said the last week that Rick was clairevoyant and it was really freaking her out. She would be thinking something and he would answer her thoughts. She said that she knows absolutely she did not ever tell Rick my name. She just told him a lady would be staying in the barn apartment. A few nights before he died, he asked how Janet was doing. Really strange. Death is such a mystery. Another mysterious thing happened at the farm. 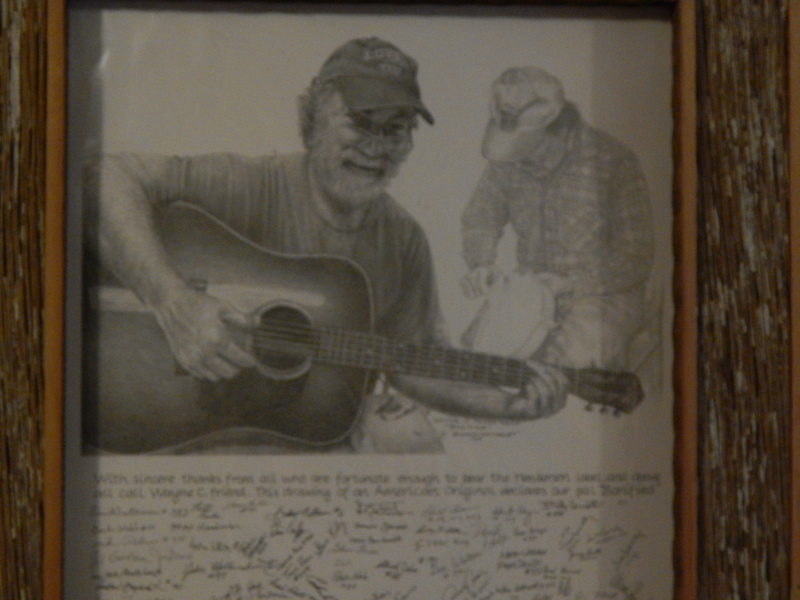 When I showed up they took me to my apartment and on the wall was a black and white picture of a man making a guitar. His name is Wayne Henderson. I thought it amazing because my Grandpa was Wayne Henderson and there was a resemblance. I asked Marilyn what color their friend’s hair is and she said red. That is the color of my grandpa’s hair. It will be neat to find out we are related. Wayne Henderson is a good friend to Marilyn and Rick and is a famous guitar maker and has even visited the Queen of England. I love how things have been falling together on this work away. I feel that I was supposed to be here for some reason to meet these people. They said God sent me because they had been praying for help and God sent them an angel. Awww. so sweet, but I feel that they are more a blessing to me than I am to them. 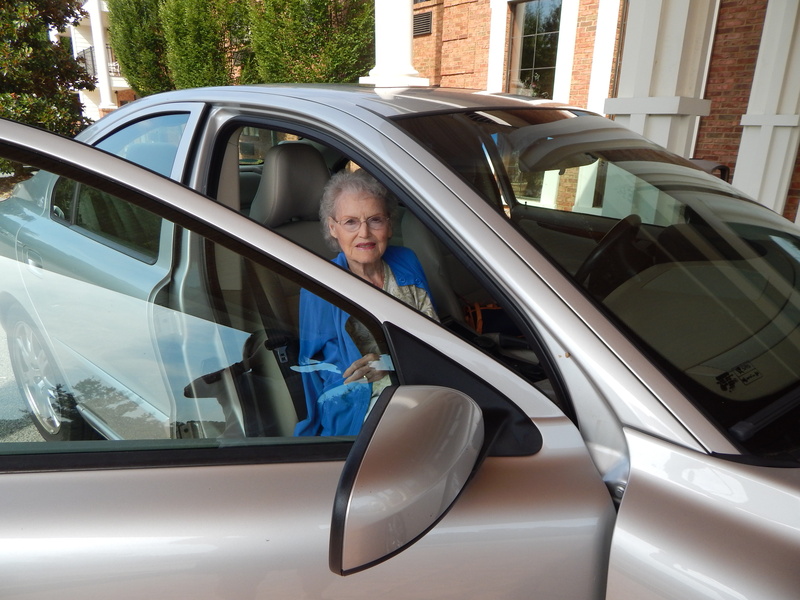 This is an adventure of Driving Miss Violet. I’ll tell you the story about how this adventure started…. I was looking at workaway.com looking for a short working experience that would be sort of local and still be interesting. I found the ad about Gentry Creek Farm looking for painting and various other little projects on the farm. 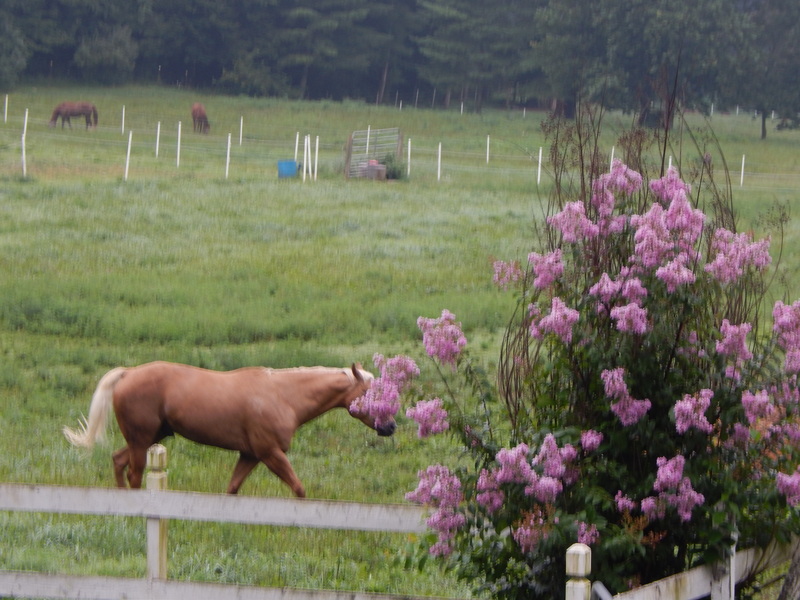 The farm is an equine retirement center. I had never heard of such a thing, so it sparked my curiosity. People who have show horses or prize horses that are just getting too old can be sent here to retire. 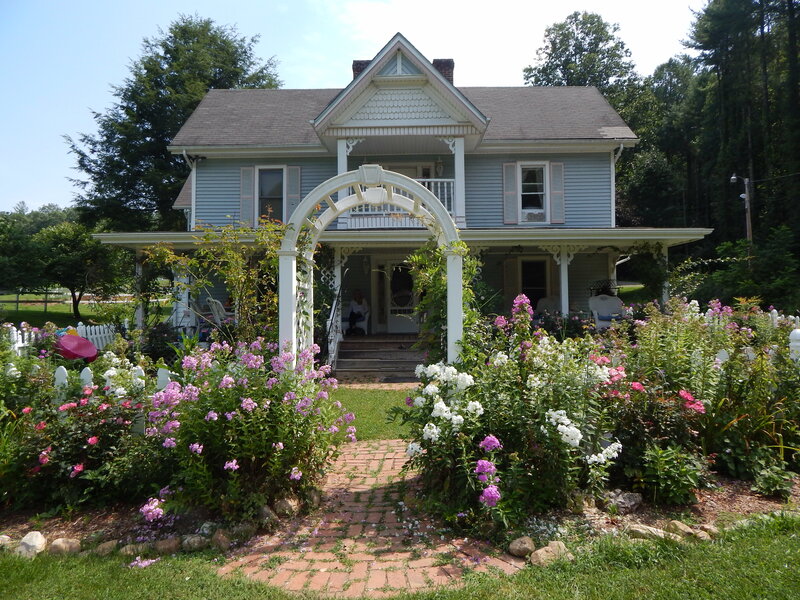 It is a beautiful place in the mountains and back hills of Laurel Bloomery,Tennessee. When I say back, I mean way back. There’s no cell phone signals here. The nearest interstate to get on is about an hour away. It is lovely and peaceful. 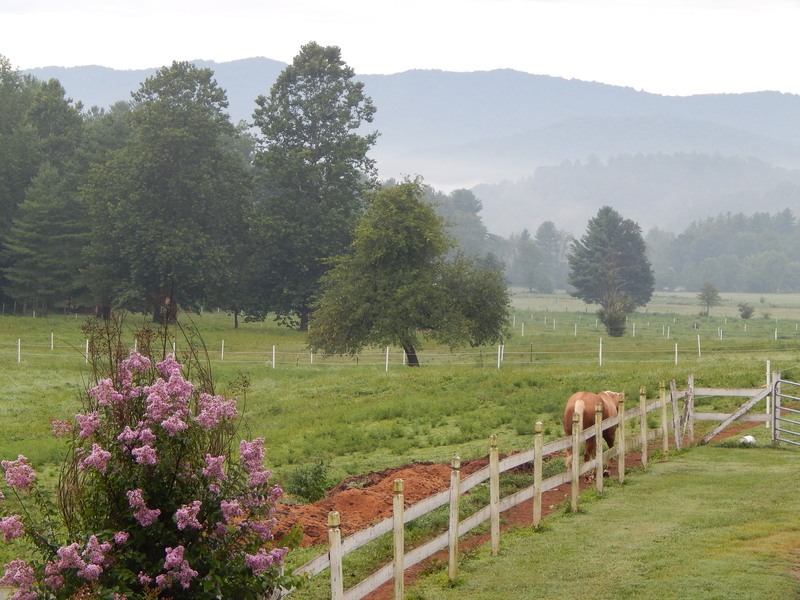 It is a place I would want to retire if I were a horse. The owners are Rick and Marilyn Mitchell. Marilyn’s mother, Violet Myers, lives in an upstairs apartment in the big farmhouse. 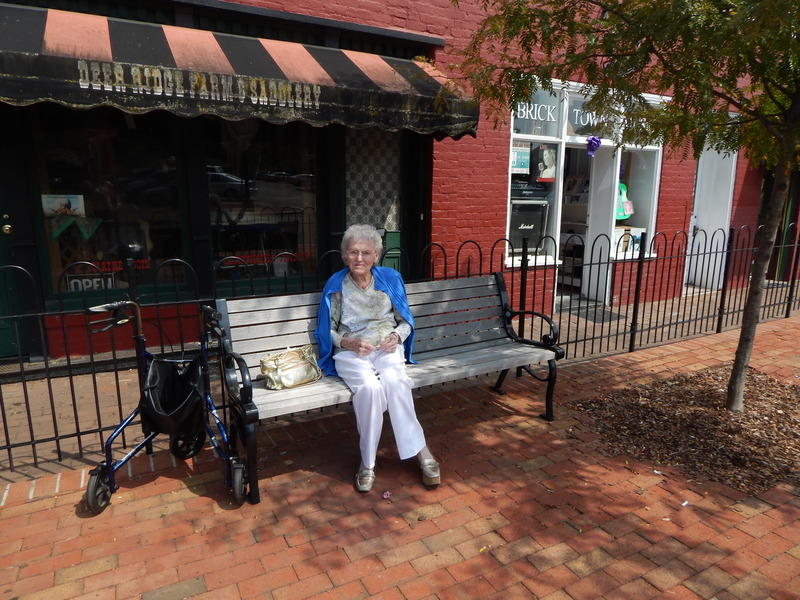 She is 93 years old and still very active and full of energy. Unfortunately Rick is presently suffering from prostate cancer and Marilyn and the children are all consumed with the care of him, plus the running of the farm and horses. Marilyn and I felt an immediate bond when we met as if we already knew eachother. After I came to help she noticed how well I got along with Miss Violet. Even though there’s 42 years in age difference we strangely had so much in common. Marilyn offered me an opportunity that I just couldn’t refuse. Miss Violet likes to travel and get out of the house a lot and between Rick’s care and the farm chores, it has been made impossible to get Miss Violet out of the apartment. My new job is to be Miss Violet’s valet on Monday, Tuesday. and Wednesday each week. They gave me a beautiful apartment above the barn to stay in while I’m not traveling. They pay all of the expenses for Miss Violet and me to travel around these three days. I am not sure how long this will last, but we sure are having a good time. 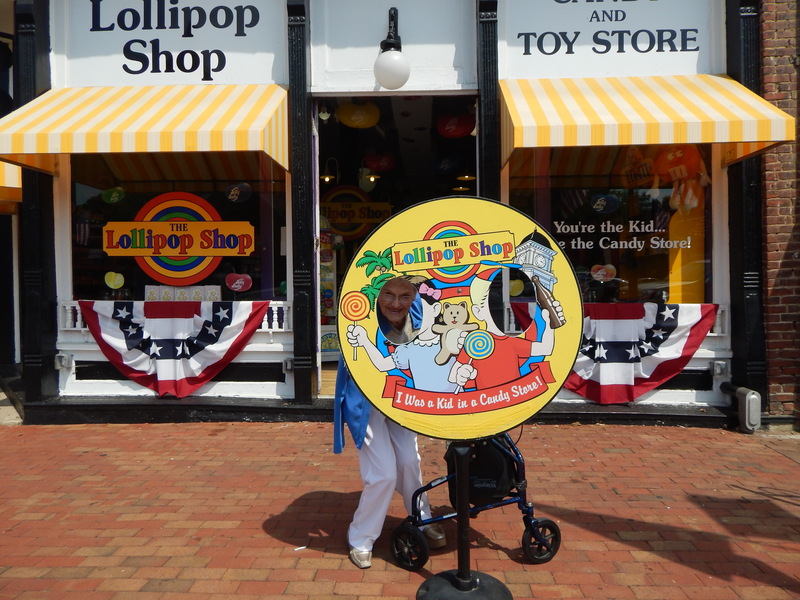 I will share some highlights and pictures of our adventures as I am able. In the meantime check out the website above this post for a close up scoop about the farm.